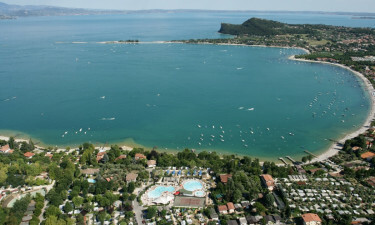 The holiday camping site Europa Silvella is located within the Gardasee-Verona region of Italy. For those who are interested in a luxury camping excursion, it is a good idea to speak with Lux-Camp for further details. We know all about Camping Europa Silvella! Europa Silvella is a wonderful choice for those looking to enjoy mild weather and a wide selection of outdoor activities. 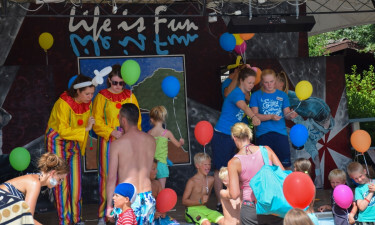 Contact Lux-Camp to learn more about the other benefits that this holiday camping site has in store. Why choose Europa Silvella for your next holiday? Below you will be able to read more about the reasons why you should choose to go on holiday to Europa Silvella. A stunning location upon the shores of famous Lake Garda. 70,000 square metres of wilderness and tranquility. While there are some who will choose to relax and enjoy the natural surroundings, many visitors instead prefer to engage in a host of sporting activities. Some of the most popular include golf, table tennis and miniature golf. Exploring the region is simple thanks to a bicycle hire service. Due to its proximity to Lake Garda, sailing and surfing opportunities likewise abound. Europa Silvella is considered to be a luxury camping site due to the numerous amenities found within its confines. It is fully equipped with a wireless Internet terminal only a short distance away and all guests will be provided with their own power supply. Washing machines are offered and restrooms are equipped for the handicapped. One factor which sets this holiday camping site apart is that guests are able to choose three different areas during their stay. Some pitches are located close to the centre of the campsite; offering nearby attractions such as a pool, a restaurant and other sports facilities. Others found a bit further are ideal for those who wish to experience nature and still desire many modern conveniences. A final selection is found further outside the centre. These are intended for those who wish to be fully immersed in nature. Choosing this camping holiday will enable visitors to visit a local Italian restaurant. Renovated in 2006, this eatery provides traditional pizzas with a variety of other choices designed for international tastes. 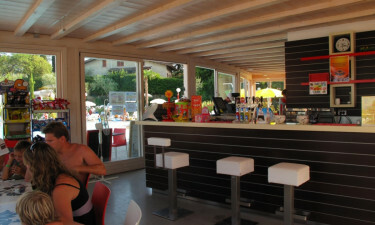 There is also a poolside bar found nearby for those who may wish to experience a local wine or a tasty cocktail while relaxing. 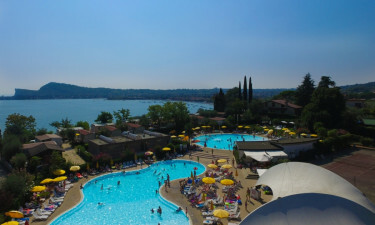 Although Europa Silvella does not contain a large supermarket, there is still a kiosk located close to the open-air pool that provides ice cream, snacks and stationery such as newspapers. There is also a similar outlet in the nearby village (for those who enjoy staying in an apartment as opposed to a campsite). Naturally we also recommend taking a trip to Verona, where you are able to visit some of the old historical places as the colosseum. In addition Verona also offers good shopping options as one of the biggest and oldest cities in the northern Italy.